Today, the Jersey Law Commission has published its report Designing a Public Services Ombudsman for Jersey. The 237-page report is available to download from the Jersey Law Commission website. The report contains options for policy makers and recommendations that will now be considered by the Government of Jersey and the States Assembly. In 2000, the Clothier Report recommended that an Ombudsman be set up in Jersey to hear complaints about maladministration by States bodies. In October 2017, the Jersey Law Commission renewed calls for an Ombudsman as part of its proposals for a wide-ranging package of reforms on administrative redress (which also looked at tribunals, the States of Jersey Complaints Panel, and the Royal Court). In March 2017, a Proposition (P.32/2018 with amendments) by Senator Philip Ozouf was passed by the States Assembly. This endorsed the principle of setting up an Ombudsman, subject to further research. The Jersey Law Commission’s report is that further research. The Ombudsman would replace the current States of Jersey Complaints Panel. Key points – what would be different? The new Ombudsman scheme should carry out a wider range of functions than the current States of Jersey Complaints Panel. It could monitor the internal complaints systems of public bodies. It could also carry out own-initiative investigations into maladministration without waiting for an individual to make a complaint. It could work with public bodies to develop professional cultures in which lesson learning takes place when mistakes are made. The new Ombudsman scheme should cover a wider range of bodies than the States of Jersey Complaints Panel. This includes Parishes. The States of Jersey Complaints Panel only has power to make recommendations, which Ministers are able to reject. The Jersey Law Commission recommends that the new Ombudsman’s findings should be binding and that individuals should be able to go to court to enforce some types of recommendations if the public body complained about refuses to implement them. A new Ombudsman scheme would, however, be costlier to run than the States of Jersey Complaints Panel. The Jersey Law Commission estimates annual running costs of about £340,000. It would be possible for the new Ombudman scheme to operate across Jersey and Guernsey. What could and should a public services Ombudsman scheme for Jersey look like? Those are the overarching questions addressed in this report of the Jersey Law Commission. To help policy makers (officials and Ministers), we identify options (the ‘could’ question). To do this, we examine international benchmarks for good design of ombudsman organisations, other design principles, the design and operation of 13 Ombudsman schemes in small jurisdictions, developments in Ombudsman organisations across the United Kingdom, knowledge of Jersey (gained from a series of research interviews and the lived experience of the Law Commissioners) and academic research. In relation to many features, the report also expresses the view of the Jersey Law Commission on what would be the best or preferable option (the ‘should’) – but the final choices will be for the Government of Jersey and the States Assembly to make. The Ombudsman scheme could be designed to cover Jersey and the Bailiwick of Guernsey. If this political choice is made, it would be important for the Ombudsman office to have a physical presence in both main Islands to ensure that the Ombudsman is accessible to people and that the Ombudsman is able to develop effective relationships with the public sector bodies whose conduct the Ombudsman will influence (see Section 1.9). There would be challenges in designing and operating a public services Ombudsman scheme combined with the current Channel Islands Financial Ombudsman (which looks into private sector complaints). There may, however, be opportunities for sharing resources between the two separate organisations (see Section 2.6). Careful consideration should be given to how the new Ombudsman would fit into the existing landscape of watchdog and grievance resolution bodies in Jersey. Watchdog bodies are: the Children’s Commissioner, the Commissioner for Standards, the Information Commissioner, the Jersey Appointments Commission, the Comptroller and Auditor General, the Care Commission, States of Jersey Police, and the States Assembly and its committees and panels. Grievance resolution bodies are: internal complaints procedures in public bodies; Community Mediation; the planning appeals system; the Jersey Police Complaints Authority; appeals to tribunals (or the Jersey Administrative Appeals Tribunal previously recommended by the Jersey Law Commission), administrative appeals to the Royal Court, and the application for judicial review procedure to the Royal Court. A detailed mapping exercise is carried out in Chapter 2. There are opportunities for clarification of roles, rationalisation and joint working. Policy makers should pause before making a final decision that the new scheme be called ‘the Jersey Public Services Ombudsman’. Other options explored in Chapter 3 include ‘Jersey Public Services Ombuds’ (a gender-neutral term) and ‘Jersey Complaints Commissioner’. Chapter 4 of the report identifies six functions that could be carried out through the Ombudsman scheme: (1) oversight of internal complaints systems; (2) informal resolution of individual complaints; (3) formal resolution of individual complaints; (4) own-initiative investigations; (5) work to promote lesson-learning from complaints to improve services; and (6) a role that involves coordinating the whole administrative justice system. The Jersey Law Commission recommends that the design of the new Ombudsman scheme should enable the new organisation to carry out all these responsibilities. Ombudsman schemes in other countries have a variety of different requirements and restrictions on who may make a complaint, when, and the procedure for doing so (see Chapter 5). The design of the Jersey Ombudsman should aim to maximise accessibility. The bodies that fall within the Ombudsman’s remit need to be defined. Chapter 6 provides a analysis of the surprisingly large number of bodies that may be defined as ‘the public sector’, organisations that receive significant public funding, and organisations that carry out functions of a public nature. The Ombudsman scheme should have a broad jurisdiction. Health and social care is likely to be by far the largest category in the Ombudsman’s caseload. Complaints about clinical errors should excluded from the Ombudsman scheme, at least initially. General Practitioners are independent professionals rather than public bodies but they are in receipt of substantial public funding for primary health care services. The Ombudsman should have power to work with GP practices to ensure that they have good quality internal complaints processes but the Ombudsman should not have jurisdiction to receive complaints from GPs’ patients. Consideration needs to be given to whether regulated care providers should fall within the remit of the Ombudsman. All Ombudsman schemes include some exclusions and restrictions on areas of decision-making that the Ombudsman may look into. There are normally cogent reasons for these. Chapter 7 examines possible exclusions and makes recommendations about which ones should apply to Jersey. The types of faults that Ombudsman schemes can look into are defined differently in schemes around the world (see Chapter 8). 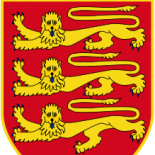 There would be advantages to the Jersey scheme in using the terminology widely used across the United Kingdom – of ‘maladministration’ and ‘service failure’. An alternative option would be to list in more detail the types of errors and failures that the Ombudsman may investigate. The processes and outcomes that people taking a complaint to the Ombudsman will experience are important features of the design of the new scheme (see Chapter 9). The Ombudsman should adopt a range of techniques that reflect its dual role of addressing individual complaints and promoting lesson-learning. For some complainants, an informal and relatively quick process will be preferred, and where the complaint does not raise systemic issues or ones that may affect a wider group of individuals, this can be an appropriate technique, drawing on mediation approaches. Some complaints may require, and some complainants may prefer, an investigation. The design of the Jersey Ombudsman could include a public hearing as an alternative type of formal process: this would maintain a central characteristic of the current States of Jersey Complaints Panel scheme, which some people regard as a strength; but such a feature would be highly unusual if not unique among Ombudsman. The extent to which the outcomes of formal resolution processes are binding on the public body complained about must be considered. There are three options, which are examined in Chapter 9: (1) findings and recommendations are not binding; (2) findings are binding or the public body must have a cogent reason for disagreeing with them, recommendations are not binding; (3) findings and recommendations, or some types of recommendations, are binding and may be enforced in the courts. The Jersey Law Commission’s preferred option is that Ombudsman findings should be binding and if a Minister or other public body fails to follow a recommendation aimed at providing redress for injustice in the individual case, the aggrieved person should be able to go to court to enforce that recommendation. The design for the Ombudsman scheme must include governance, appointment and accountability arrangements (Chapter 10). The Ombudsman could be established as a freestanding public office or as an organisation with a non-executive corporate board. Accountability would be strengthened and capacity for strategic development would be stronger if the Ombudsman organisation has a non-executive board (we suggest of four people), responsible for appointing the Ombudsman, providing strategic direction in the development and implementation of the new scheme, and defending the independence of the Ombudsman. The Ombudsman should make an annual report. Reports on individual investigations should be published on the Ombudsman’s website with the name of the complainant anonymised. On the resourcing requirements of the Ombudsman, a model is developed that consists of (1) the non-executive corporate board, (2) the Ombudsman, who would also be chief executive of the organisation and (3) a staff of two caseworkers, a part-time communications officer and an executive assistant. We estimate that the annual staff and running costs would be approximately £342,000. “The Law Commission exists to help bring about practical improvements in the Island’s legal system. Our work on administrative redress is now complete and the next step will be for the Council of Ministers and States Members to consider our recommendations”. This entry was posted on Nov 5, 2018 by jerseylawcommission.